The WorldTour is in town, and here’s your chance to ride with one of its best. 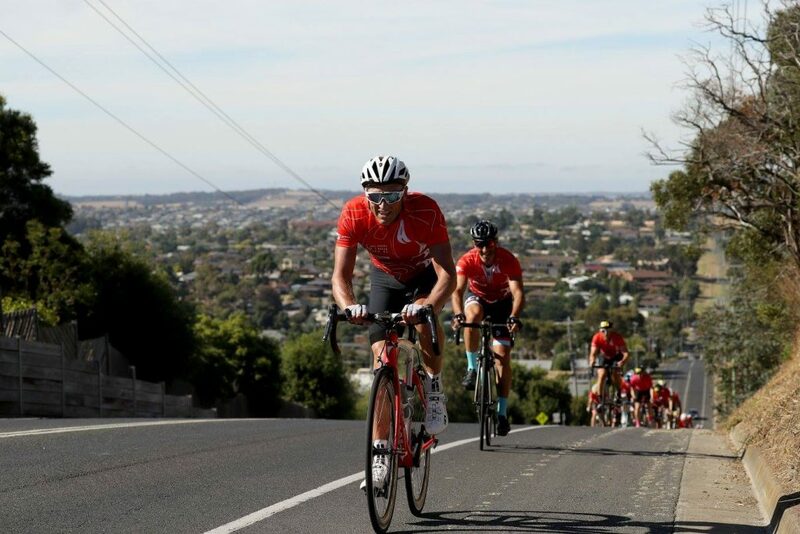 Yes, that’s right: Cadel is in town for the weekend and will be lining up for the Swisse People’s Ride in Geelong, Victoria. Feeling a little like Caleb Ewan at Le Tour? Did you miss the team’s call-up for the Cadel Evans Great Ocean Road Race? 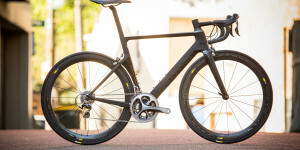 Swisse has you sorted with the real event – the one Cadel will actually be riding in. The Swisse People’s Ride sees Evans back to the streets of Bellarine where he, Gilbert and Nibali lit up the world championships in 2010. These world championship roads will play host to 3,500 other riders, celebrating Swisse’s third year supporting the ride and 10 years since Cadel’s rainbow win. This is your chance to chase Cadel up the Challambra climb with 100km in your legs (his record is 2:23 for those searching segments). The 115km route offers plenty of views of the Great Ocean Road via Barwon Heads, Torquay and Bells Beach. 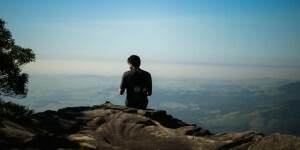 You’ll then head inland, north of Anglesea, to tackle some undulating terrain and then hit Challambra before the finish line, amassing a little shy of 1,000 metres of climbing. Got the little ones in tow, or not there for the ride but just the photo op? 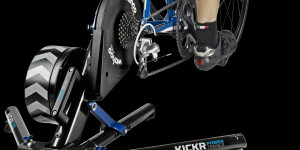 There are 35km and 65km routes for you. Aid stations are located across all course distances plus, there’s an all-important Swisse Recovery Zone at the finish where riders can access massages and cool down with a magnesium slushie. Don’t rush the recovery, stay a little longer and go into the draw to win a Wellness hamper, worth over $1,000. Simply drop into the Swisse Activation at Steampacket Gardens, Geelong foreshore Eastern Beach Road, Geelong. All entries come with a limited edition Santini jersey too. 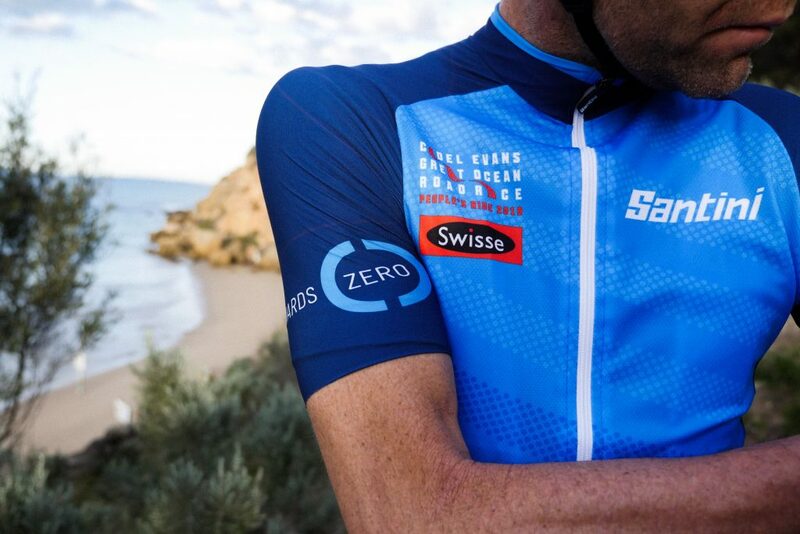 Of course, the true test of the quality of an event jersey is if you actually wear it again, and we’re sure this one will see plenty more rides. 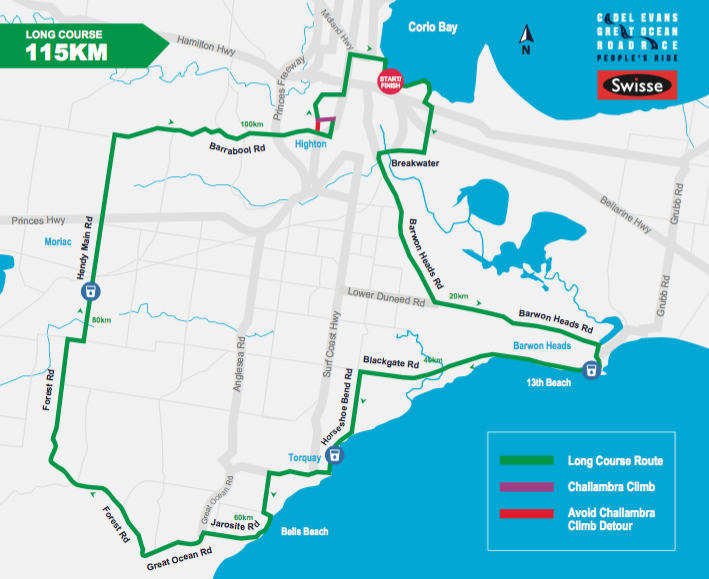 Just like the pros, the Swisse People’s Ride will depart from the official road race start line on the Geelong waterfront. All routes depart from 7am onwards on January 26, 2019. With any luck, you’ll find a few of the professional teams beside you on last-minute reconnaissance. Ready to chase Cadel and #ChallengeChallambra ? 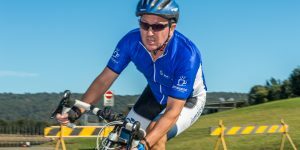 Visit the Swisse People’s Ride site for more information.